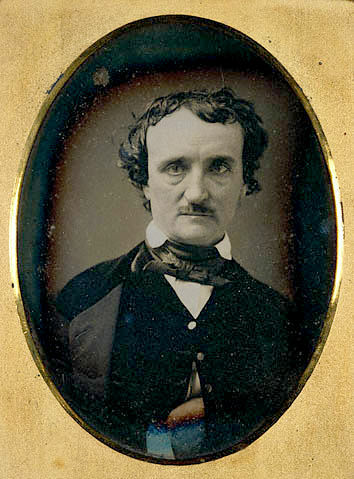 Edgar Poe was born in 1809 in Boston to David and Elizabeth Poe. David was the son of a Revolutionary War hero and a drinker; Elizabeth, a popular stage actress. Soon after Edgar’s birth, David Poe left the family, and in December of 1811, Poe’s mother died. Two-year-old Edgar was taken in by John Allan, a wealthy Richmond tobacco merchant, who lent Poe his middle name. Poe spent a single year at the University of Virginia. After John Allan refused to pay his second-year tuition, and gambling debts kept him from paying his own way, Poe joined the army. He did well there and, when his enlistment was up, attended West Point for officer training. He was soon expelled for failing to attend class and skipping mandatory chapel services. He settled in Baltimore with his paternal aunt Maria Clemm and her eight-year-old daughter, Virginia, Poe’s future wife. Poe became a regular contributor to the Southern Literary Messenger, publishing not just stories but scathing book reviews that earned him the nickname “tomahawk man.” Poe, Virginia, and Maria Clemm moved to Richmond, where Poe then took the reins as editor of the Messenger. The next year, Poe, 27, and Virginia, 13, married. Poe resigned from the Messenger in 1837 over a salary disagreement and moved the family to New York where financial troubles continued to haunt him. He met with some success in 1840, when he released Tales of the Grotesque and Arabesque, including all his stories up to that point. In 1842 Virginia ruptured a blood vessel, the first sign of the ill health that plagued her short life. To cope with her illness and the stress of his failing finances, Poe occasionally turned to alcohol. He repented after each binge, but his employers and friends took note. In 1845, Poe published “The Raven,” which brought him temporary popular and critical acclaim. Always prone to self-destructive behavior, Poe attacked Henry Wadsworth Longfellow on grounds of plagiarism, greatly damaging his own reputation. Two years later, Virginia died of tuberculosis. Poe’s own death followed just two years after that. The cause of his death remains uncertain. On October 3, 1849, Poe was found at Ryan’s 4th Ward Polls, a tavern also known as Gunner’s Hall, in Baltimore, disoriented and wearing tattered clothing. He was admitted to Washington College Hospital, where he never regained full consciousness and died four days later. His death was attributed to “congestion of the brain,” though no autopsy was performed. Due to conflicting testimonies from his doctor and a libelous obituary written by his literary nemesis Rufus Griswold, the nature of Poe’s death has remained in question. Doctors and scholars have theorized that Poe died of epilepsy, hypoglycemia, beating, rabies, alcohol, heart failure, murder, or carbon monoxide poisoning. One of the most compelling scenarios is that Poe, found on election day, was a victim of “cooping,” a form of voter fraud in which a person is dressed up, beaten, drugged, and forced to vote multiple times—the term is related to a “chicken coop,” as victims were often held captive in a small space while abused. Not one of these theories has been proven, and Poe’s death remains a mystery. Check Poe Reader’s Guide provided by the NEA. Learn about the historical and literary context in which Poe lived and worked, discover how Poe influenced generations of writers, musicians, film makers and dramatists, listen to influential writers and scholars discuss Poe, and more. The guide is also available in Spanish. Poe was raised in Richmond by the Allan family. He moved back in 1835 to work for the Southern Literary Messenger. Most of the landmarks and houses from Poe’s time in Richmond have been lost to history, but Richmond’s Poe Museum offers a collection of his manuscripts and artifacts. 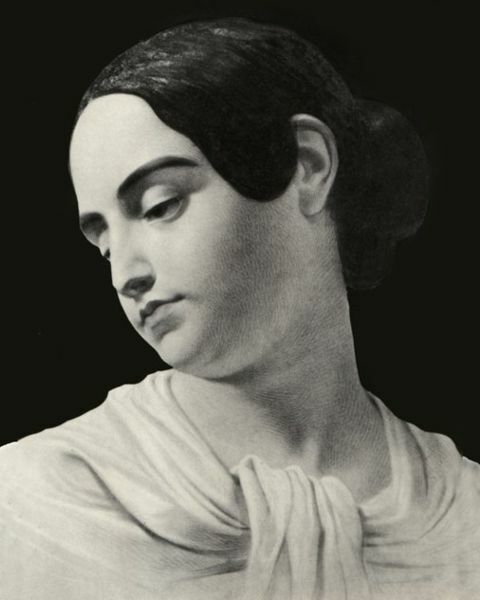 Poe moved to Baltimore to live with his future wife, Virginia, and her mother. There Poe published poems and short stories and won his first literary contest, with “Ms. Found in a Bottle.” He lived at what is now the Baltimore Poe House and Museum from about 1831 to 1835. 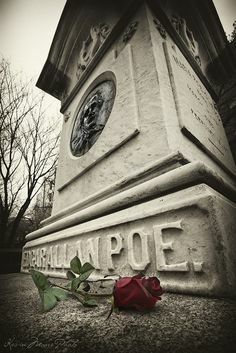 Poe lived in Philadelphia for six years, where he wrote and published some of his most influential work, including “The Murders in the Rue Morgue” and “The Gold-Bug.” For the last year or so of his time in the city (c. 1842–1844), he lived with his wife and mother-in-law at what is now the Edgar Allan Poe National Historic Site, maintained by the National Park Service. From 1846 to 1849, Edgar Allan Poe lived in the hills of the Bronx, New York. Here, his young wife died and Poe wrote some of his most lyrical work, such as “Annabel Lee” and “The Bells.” The Edgar Allan Poe Cottage is now preserved by The Bronx County Historical Society.